We know it’s easy to put them there. We know that they look good on your computer screen. We know that they take all of that great design work that you did and enclose it in a neat little frame, separating it from the rest of the clutter on your monitor. And we also know that they often don’t come out looking right when printed. While borders may look good in some design scenarios, Denver Print Company encourages you to forget about them entirely. There is some legitimacy to these feelings of border-love, but let’s take a look at why, in general, borders and printing aren’t the best of buddies. Most professional print projects are printed “full bleed.” This means that the ink goes all the way to the edge of the paper. Because print machines are not able to neatly print all the way to the edge of a canvas, the way that full bleed is achieved is by trimming the extra paper or canvas from around the edge after printing. 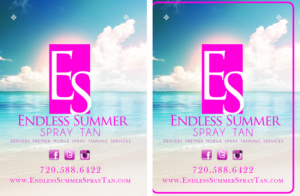 At Denver Print, as with most commercial print shops, this cutting is done by machine. There is an industry-standard mechanical tolerance on these cutting machines of 1/16 of an inch. Meaning, they can cut up to 1/16” off from where they are supposed to cut and still be considered to be accurate. What this means for borders is this: Your design may be shifted 1/16” in any direction due to the cutting process. If the design includes a border that is close to the edge (as borders usually are) your eyes will easily be able to detect this shift, making the borders – and hence, the entire piece – look uneven. In the example here, both flyers are shifted 1/16” to the left. On the left flyer, with no border, the shift is barely noticeable. On the right flyer, with the border, the whole thing looks off. If it feels like you’re going to lose your mind if we keep on pushing your love of the border-line . . . take some deep breaths. There’s good news. The aesthetic role that borders play is much more important on your computer screen than it is on a printed sheet. Inherently, anything printed has its own natural border: The edge of the canvas! In other words, it may seem vitally important when looking at your design on a computer monitor that it be surrounded, emphasized, and made to stand out amongst the other clutter on your screen. Once printed, however, you will usually be surprised to find that a border seems far less necessary. The edge of the material itself serves to separate the design. Now, we do realize that sometimes there must be a border. In such circumstances, it is recommended that the inner edge of the border be at least ¼ of an inch from the edge of the canvas in order for it to still look even when the print is cut. When it comes to business cards, of course, a quarter of an inch of space between the edge of the card and the border is a little ridiculous, considering the already limited real estate. We HIGHLY recommend that our clients forego any borders on their business cards. 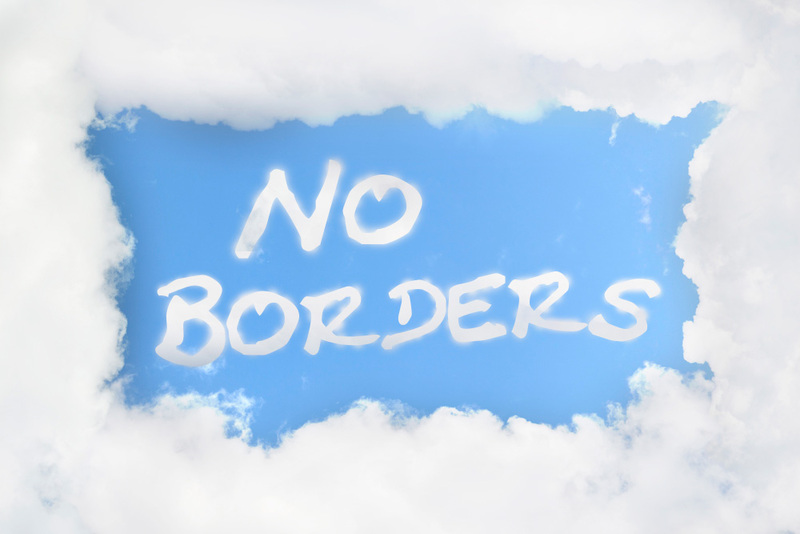 If you have any questions about borders on your design, please don’t hesitate to email or call.